Samsung is planning to embed a futuristic, in-screen fingerprint scanner on its Samsung Galaxy S10, but also on even more affordable phones like the Galaxy A (2019) series. This latest rumor comes from leakster Ice Universe from China, and it once again denies the earlier rumored possibility of the Galaxy Note 9 getting an in-screen fingerprint reader. Samsung is said to follow in Apple's footsteps and introduce three new phones in early 2019: a 5.8-inch, a 6.1" and a 6.4" model, with only the latter two coming with the new in-screen fingerprint reader. Qualcomm will provide the technology behind this brand new way of unlocking your phone. Qualcomm unveiled its solution in the middle of 2017, a new type of ultrasonic fingerprint scanner, different from the optical scanners that some other companies have developed, but technical challenges have slowed down the roll-out on mainstream phones. Interestingly, the same report saying that multiple Samsung phones will get an in-display fingerprint reader in 2019, also says that Samsung predicts that this feature will elevate the Galaxy S10 series to popularity and the phone maker expects a whopping 60 million units sold. Samsung is also planning to differentiate its larger and most expensive phone, the upcoming 6.4-inch version of the Galaxy S10, with a triple rear camera system. Samsung could have had an optical in-screen fingerprint years ago, but it was "bad experience"
Update: Samsung mobile chief DJ Koh has also said that the Galaxy S10 will not use an optical fingerprint scanner because the experience with it is bad and had the company wanted to introduce an optical fingerprint scanner, it could have done it two years ago. Clearly, Samsung wants to provide a better in-screen fingerprint experience and that is why the company is taking its time to get it right. That only confirms Samsung and other smartphone behemoths playing save until they can. I am very glad that Chinese OEM's pushing envelope but the big and established players. What will it do? Good, stir the market and force them to give more rather than just a Tick–tock. Consumer wins. Sweet! It makes sense for Samsung to wait for the technology to mature to a point where it's fully developed and it's going to be plague by some of the technical difficulties that it has had. When it arrives in Samsung's smartphones, the technology has definitely been refined to a point where you won't expect any trouble or difficulty at all. Samsung is known for their class-leading hardware, so i expect nothing less. The fingerprint scanner on the Note 4 sure comes to mind as class leading hardware. Oh look, it's the troll that tells everyone to get out of apple articles but here he is in a Samsung article as usual. Really? You're going to bring up something from the past? 2014? Really? That has no correlation to anything that has happened today. Are you going to act like iPhones hasn't had several scandals, such as the recent battery and slowdown scandal? There is no denying that Samsung are the class leaders when it comes to hardware, which is why companies like Apple have them produce vital components (display) of their most important smartphone thus far (iPhone X). I'm really tired of you and your Apple propaganda and hate towards every company that isn't Apple. Why are you even in this article? You don't care about anything that isn't Apple. Don’t be so sensitive and ridiculous, I brought up the Note 4 fingerprint scanner as an example of Samsung taking a horrible shortcut, and it being a miserable failure. That’s what Samsung your god is trying to avoid a repeat of. Samsung isn't my god, as i don't name myself something like "Samsung-rulz!" in my name, as that would be beyond the behaviour of a deluded fanboy to literally name oneself after the brand. Furthermore, Samsung did learn from that decision, as they're one of the few brands that actually learn from their mistakes and listen to the feedback of consumers. This is something that your beloved Apple doesn't do at all, they couldn't care less about what the consumers think, as seen from the way they act. They literally slowdown iPhones, and didn't even care to fix it once it was found out that they did it. Apple still makes those kind of decisions in 2018, while Samsung's last one of that kind was in 2014. If you don't believe Samsung has the best hardware quality out of them all, then who does? Samsung is undoubtedly the best when it comes to hardware, as seen from their smartphones. Curved screens that serve no use except to make getting a decent screen protector very difficult, cameras that get beat by the iPhone X. That is your god Samsung. What’s even more pathetic is Samsung doesn’t even have the huge burden of worrying about maintaining an OS, and still they can’t come out on top with hardware. Listen to consumers?!?!? Lots of Samsung fans have been clamoring for the return of the IR blaster, will that be on the Note 9 or S10?!?!?!?!? Try playing Hill Climb Racing on any curved screen phone, you'll realise how f**ked up they are. I did, and i had no issues? So what are you on about? You clearly haven't owned a recent Samsung smartphone at all, as that is just ignorant. I'm not shocked, since this is all you do. Go to Samsung article and s**tttalk it, without any having any clue about their smartphones. Every time you said I was lying, I proved you wrong. I ain't a schoolboy like you living in mamma's basement, I own everything. I literally do nothing but prove your ignorance, as you repeatedly make up some random wild statement about Samsung being crap, without it having anything to do with reality. You haven't even proved me wrong once. I think you're confusing yourself with me. I am interested tho, where did you prove me wrong? Please provide a link and quote to it. I know you won't find one. PS: Keep the random mom jokes to yourself, if you want to act like someone who isn't 12 years old. I haven't proved you wrong once? Lmao I guess you have forgotten that Bixby s**t, you didn't even reply on that one. Here's the linkhttps://www.phonearena.com/news/Cortana-gets-a-nod-from-Enterprise-users_id105830 Well, I fucked you up one more time. Where did you prove me wrong? I said you were lying, because you don't have one of the latest Galaxy S9 smartphones, and you didn't disprove me in saying that. So i said the same thing i've said now, which is that your comments repeatedly show that you don't even own a recent Samsung smartphone. Furthermore, if you ask Bixby "Spain versus portugal", then it's going to give you the match result, which was 3-3 according to Bixby. Furthermore, it's telling me Ronaldo scores a hat-trick in that match. I can give you a screenshot if you want, as i actually own a Samsung Galaxy S9. Now please show me the second time you "f**ked me up"? I have a feeling that's a dud as well. So you have once again been disproven, as earlier in this chat, when you claimed that "hill climb racing was f**ked up" on a Galaxy S9, and now that i've disproven you again, you're once again going with the delusional denial. Previously when you were proven wrong you said this instead: "I ain't a schoolboy like you living in mamma's basement, I own everything." The denial is strong with this one. Furthermore, where is the second incident where you felt you proved me wrong? I'm waiting. Your L taking capacity is unmatchable. I would say the same about your D taking capacity from Tim Cook. One of the only 2 games I have on my phone and I play it just fine. Husband plays it on his s8+ just fine. I've heard this rumor since before S9 was announced, and again before the Note 9 was announced. And releasing three S9 models is not a good decision imo. Since they also have the Note series. Samsung is just being Apple as usual. lol. No, apple was being Samsung. Samsung has had 3 flagship phones for a few years now. The S, S+, S active, if they toss in another that will give them 4 S models so how are they being apple. So they're going to cripple smaller model again? I'm out. Meh. I'm not upgrading to a $999 phone just because of a new fingerprint scanner. The days of new, significant features are over. Lost interest in that tech now. I never understood the interest in the first place tbh. Why waste internal component space on a in screen sensor when the back is perfectly applicable? Not to mention it’s gonna be slower to use by a substantial margin. Just seems like a waste of time now. It isn't really slower by a substantial margin at all. 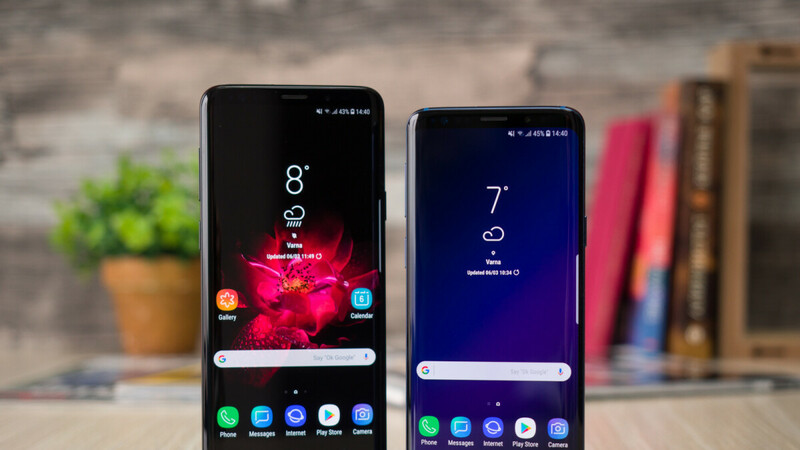 You won't notice any difference at all in your daily usage, and that's with the current implementation of chinese concept smartphones, which isn't exactly refined, which the Samsung Galaxy S10 will be. Furthermore, it's easier to reach on the front for everyone, so it's a much more convenient place for it. There is a reason fingerprint sensors were on the front on both Apple and Samsung smartphones, when they both still had capacitive buttons. It also makes sure that your fingerprint sensor is protected from wear and tear, when it isn't exposed on the back.